Full-Time Plumber GREAT company!Full-Time Plumber GREAT company!Full-Time Plumber GREAT company!Full-Time Plumber GREAT company! 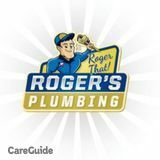 Journeyman Plumber Sign on bonus available!Journeyman Plumber Sign on bonus available!Journeyman Plumber Sign on bonus available!Journeyman Plumber Sign on bonus available! Get paid above scale. Waterheater installation jobs.Get paid above scale. Waterheater installation jobs.Get paid above scale. Waterheater installation jobs.Get paid above scale. Waterheater installation jobs. We have full time and part time, year round installation work and are in need of Licensed plumbers to complete this work.We have full time and part time, year round installation work and are in need of Licensed plumbers to complete this work.We have full time and part time, year round installation work and are in need of Licensed plumbers to complete this work. 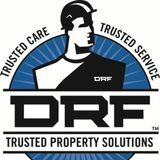 Full time plumber and fire sprinkler pipe fitter needed!Full time plumber and fire sprinkler pipe fitter needed!Full time plumber and fire sprinkler pipe fitter needed!Full time plumber and fire sprinkler pipe fitter needed!